“This springtime in Wyoming is a bust!” . . . .
We can usually count on spring-like weather for Mother’s Day in early May. Not so this year! 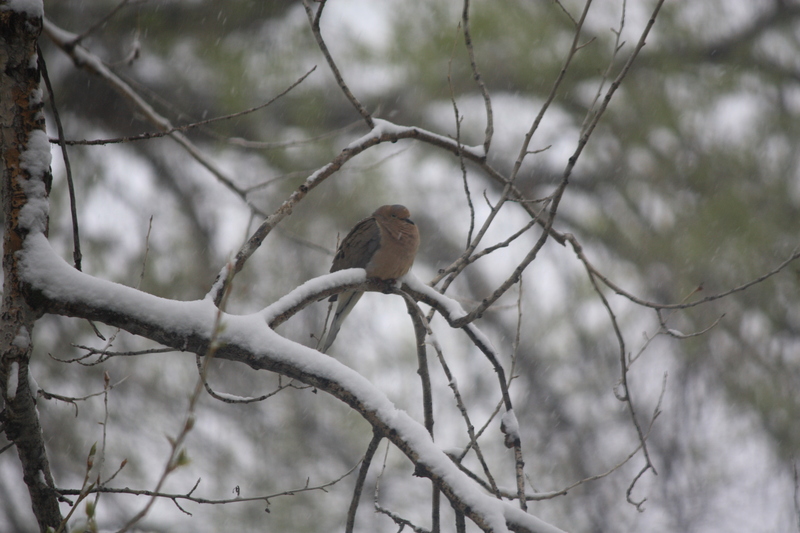 Rains started Friday evening, continued all day Saturday, turning into snow late afternoon, and leaving 4-5 inches of white stuff on the ground this Sunday morning May 10, 2015. We stare out the window looking for signs that it will abate to no avail. The snow is still coming down, blowing sideways in the wind. Bah humbug! We had to cancel plans to attend the Wyoming Symphony’s last performance of the season last night, and put on hold a trip to Red Feather to visit our cabin today. Maybe we’ll make plans again in July!